Neck pain in the morning is a very common patient complaint that is usually related to the long hours spent sleeping, rather than the minutes spent waking and rising from bed. Morning neck symptoms can get the day off to a rough start, since no one wants to experience this type of discomfort so early, after a good night’s rest. There are bodily, ergonomic and psychoemotional contributors to morning neck ache, so all possible explanations must be considered in order to enact lasting relief. It should be known that a great number of patients complain that their pain is worse first thing in the morning and slowly improves as the day wears on. This essay delves into the possible causes of early morning neck ache. We will detail factors that involve choice of bedding and pillow, anatomical factors and emotional factors that might be wholly or partially to blame for the recurrent problem of morning neck pain. Chronic stiffness will always be exacerbated by long periods of disuse, such as when sleeping. When the body posture remains static, the neck muscles and joints might stiffen considerably, potentially causing that tight, uncomfortable feeling when the muscles are first brought back to life through movement in the morning. Many patients have positionally-dependent neck pain due to structural abnormalities that might place increased pressure against sensitized neurological tissues. Many spinal structural issues might be aggravated by sleeping in less than ideal postures, such as when the head is over-elevated, under-elevated or twisted to the side. Herniated discs, spinal curvatures and arthritis might all flare-up from a night of compromised positioning. Affected patients must often use trial and error to find the best sleeping position for them and also hope that they will retain this position while they sleep. The seemingly simple accomplishment can be a difficult-to-achieve objective, since most of us move considerably during our normal sleep cycle. Circulatory concerns might be worsened when the body is positioned horizontally. Not many patients have known circulatory contributors to chronic neck pain, but for those who do, lying down can become a real trial that results in daily pain, tingling or numbness. Falling asleep in a chair, on a couch, or in semi-reclined position, are major causes of nighttime and morning neck pain. Falling asleep upright, with the head hanging down on the chest, puts tremendous stress on the cervical spine and muscular support tissues. This sleep posture is never advised. Likewise, falling asleep sitting up, with the head hanging backwards, without any support, can also cause terrible trauma to the entire cervical region. Pain might be expected in either of these scenarios. Back sleepers should select a pillow of medium thickness to allow their spine to remain straight and aligned. 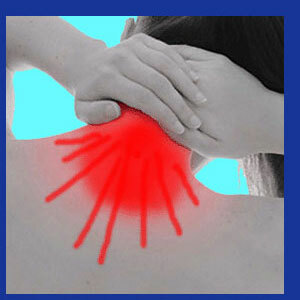 Cranking the neck forward or allowing it to sink downwards might create the origins of morning neck pain. Sleeping on the stomach is not advised at all. If it is necessary, then abstaining from using any pillow might help to keep the spine aligned front to back, but turning the head sharply to the side will still be very stressful to the entire neck area. Side sleepers must find the right thickness of pillow to take up the space between their head and their lower shoulder. Too thick will crank the neck to one side, while too thin will allow the head to hang to the other side. Neither of these circumstances is ideal for correct spinal alignment. The thickness of the pillow needed should be proportionate to the shoulder span of the patient, and other anatomical measurements, so as to help keep their neck in a true neutral position all night. To sleep: perchance to dream… Dreams can undermine our best efforts to get a good night of sleep. They can also really throw a monkey-wrench into our sleep ergonomics, often making us move around in our slumber. Patients might go to great lengths to make sure they use a proper pillow and mattress combination, but are still able to become victims of nighttime anxiety through the power of vivid dreams. Many patients have written to us citing examples of terrible or emotional dreams precluding violent attacks of back and neck pain. 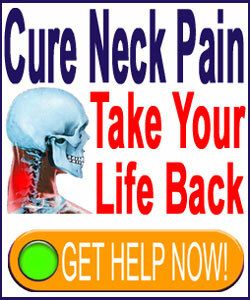 We have actually explored the topic of dream-related back and neck pain in several articles on our websites. The subconscious can assume control of the mind when the conscious mind shuts down to rest. This is why dreams occur. While some dreams might be wonderful and inspiring, those experienced by chronic pain patients are often nightmarish and symptom-inducing. This is no coincidence. It is well known that suppressed or repressed emotions are prime causes and exacerbators of any variety of chronic or recurrent pain. Start with a good mattress and pillow combination. Be sure that basic ergonomics are not the primary reasons for your suffering. A small investment can make a world of difference in the quality of sleep and the condition of your neck when you awake. Trying to minimize food and beverage consumption before bedtime is known to produce more restful sleep. Drinking alcohol before bed is probably the worst lifestyle choice, as many heavy drinkers will experience restless sleep and be unable to wake if their body assumes a less comfortable position. It is vital to use waking hours to put the conscious mind into action against emotional turmoil that resides under the surface of consciousness. These are the same issues that come to light during sleep, often producing horrific dreams that may result in neck pain due to poor sleep positioning, sudden jarring wake-ups or even from purely mindbody-enacted ischemia. While it is impossible to always ensure a restful sleep and a good feeling each and every morning, following these helpful tips is sure to put you on the right path towards minimizing neck pain in the morning.